3½ miles. Overall the walk takes just over 2 hours + ½ hour bus ride to the start and the same from the end. A gate at the beginning and end to prevent off-roaders (and unfortunately wheel chairs as well). This walk involves a bit of planning before hand. You need to get the time table for the 900 and 901 buses. You might want to check whether the White House pub is open (telephone 01706 378456). You then need to decide whether you will set off from Hebden Bridge in the morning or after lunch. It is best not to do this walk when it is very windy or when there is low cloud (no views). Always take some warm clothes and waterproofs – the weather can change at this height quite quickly. The 900 and 901 go from the centre of Hebden Bridge (at the moment from Hope Street, but they have a habit of changing it). The bus goes to Mytholmroyd and then turns up Cragg Vale on to the top of the moors. 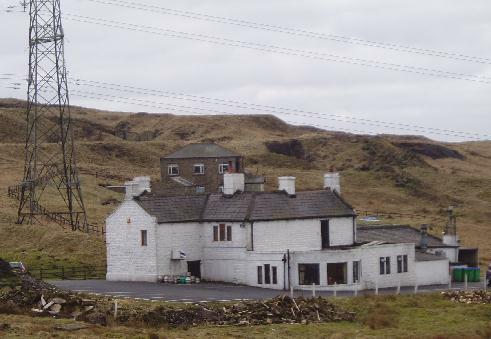 Ask the driver to drop you off at the track just before the reservoir at Blackstone Edge. 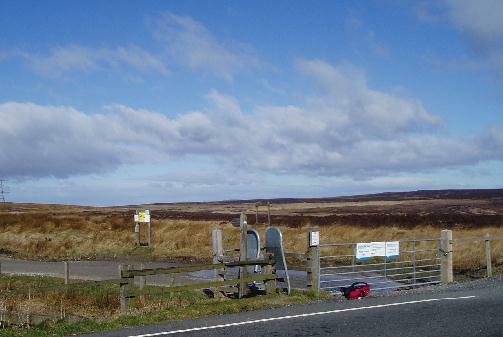 The The start of the walkThe reservoir access road follows a drain which catches the water coming off the moors. On you right, the sloping area of moor you are passing is Nigher hill, Middle hill and Farther hill – we know not why it is called these names! 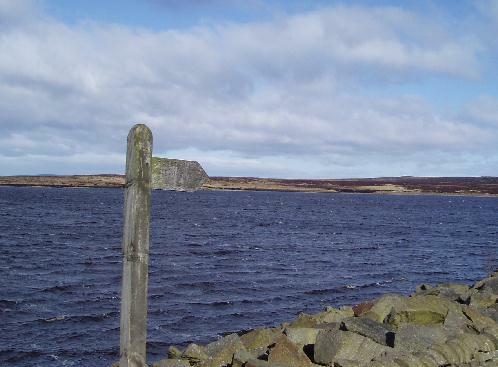 After about 30 minutes, you come to White Holme reservoir where you can go left or right. 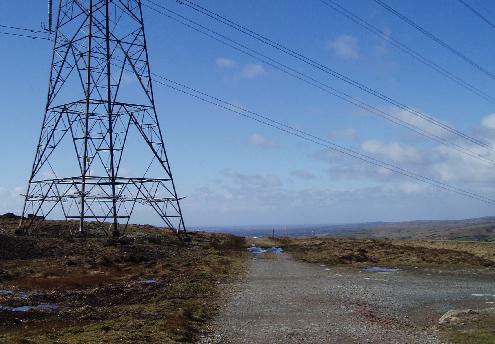 Where you join the Pennine Way you will see a panoramic view of Rochdale, Oldham and Greater Manchester (assuming that the mist hasn’t come down!). Turning right here takes you past some reservoirs and to Stoodley Pike, but you should turn left along a well maintained reservoir access road passing some spectacular rocky outcrops. After about an hour, the track ends at the White House pub. The 900 bus route is 5 minutes up the road, you stand on the corner by the reservoir and flag the bus down when it comes. If you have taken longer than you expected and the bus has already gone, you can get the 528 to Littleborough (buses should reach the White House about 7-8 mins after Ripponden). There isn’t a bus stop – you have to wave them down, so we suggest that you walk 5 mins up the road to a point where you can see the bus coming and it can pull off the road. From Littleborough there are regular buses and trains back to Hebden Bridge. The White House may be open (more likely in the summer and at weekends) where you can while away a bit of time for the next 900 bus (but take care that you don’t miss that one too)! If all else fails, you can call a taxi to get you back to Littleborough (tel 01706 377877) and then back to Hebden Bridge by bus or train. Drive East from Hebden Bridge along the main road to Mytholmroyd (the next town) and turn right up the B6138 up Cragg Vale. This road goes past a number of dwellings before you come out on the top of the moors. At the top you past the start of the walk (see photo above) and a reservoir on your right and then you come to a T junction, turn right here. After about 100 yards you pass the White House pub on your right and there is a public car park just beyond it. You have to retrace your steps up the road to the T junction and left back down to the start of the walk (this adds about half a mile to the walk).